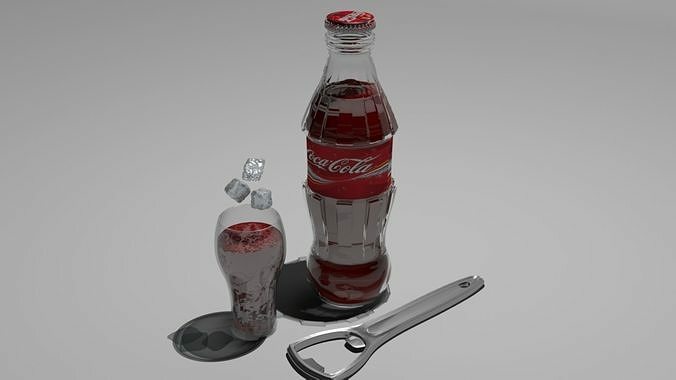 This is a model of a Cocacola bottle made by 3ds max (2014). The rendering engine is mental ray. This file includes with a full coca cola bottle, a bottle opener, a glass and ice cubes. I have provided you with 3ds max, OBJ, 3ds, FBX and material jpeg fils. Just download the rar file and extract and use it for your projects.